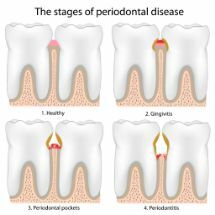 Does Gum Disease In Ellicott City Impact Your General Health? Can you guess one thing that gum disease and diabetes have in common? They’re both considered “silent diseases” because don’t cause pain until they’re advanced. You may also be surprised to learn that gum disease in Ellicott City is actually linked to diabetes, along with many other health problems. Since February is Gum Disease Awareness Month, it’s a great time to learn more about this common condition and how you can prevent it. Not only will you improve the health of your smile, you’ll also lower your risk of many serious diseases at the same time. Learn more below! Comments Off on Does Gum Disease In Ellicott City Impact Your General Health? Now is the time to make sure the numbers add up on your dental insurance benefits. What does that mean? Well, if you’ve maintained a regular schedule of dental appointments, then there shouldn’t be many numbers to add up! Unfortunately, this is not always the case. The American Dental Association estimates that on average, Americans with dental insurance receive only $323 of dental treatment each year. But a typical plan has an annual maximum of $1,250, which means that $927 is not being used. And because most benefits don’t roll over to the following year, that’s a lot of money getting left behind. How can you help avoid such waste? 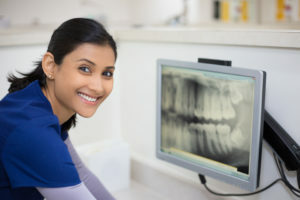 Schedule a dental checkup today with a dentist in Ellicott City! Seeing your family dentist in Ellicott City for regular cleanings and checkups is an essential part of keeping your teeth and gums healthy. But professional care is only part of the answer. Brushing and flossing after each meal, eating a healthy diet, drinking plenty of water and steering clear of tobacco products all play an important role. 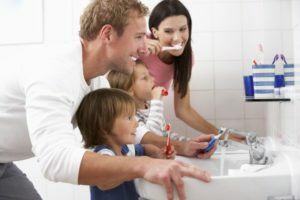 Can a Dentist in Ellicott City Help Your Whole Family? Teeth are made to last a lifetime, but that doesn’t mean that you can treat them the same your whole life! They need to be cared for appropriately and the type of care varies a little by each stage of life that you’re currently experiencing. In this week’s blog post, your dentist in Ellicott City is going to discuss different types of dental care for a variety of ages so that you can keep you and your family’s smiles strong throughout the years. Continue reading to learn more! Comments Off on Can a Dentist in Ellicott City Help Your Whole Family? Your Dentist in Ellicott City Is Accepting New Patients! Finding a reliable, skilled, and conveniently located dentist in Ellicott City isn’t always an easy task. You have to do research into each practice’s specialties, find out what forms insurance they accept, and look at consumer reviews. Finding the perfect dentist can take a lot of time! To make your job a little bit easier, we’d like to introduce ourselves and let you know what you can expect when you come into our office. We think you’ll like what you learn. 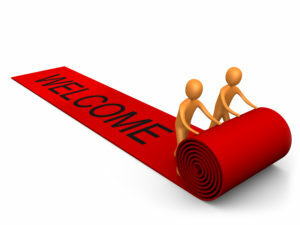 Comments Off on Your Dentist in Ellicott City Is Accepting New Patients!